We're close to halfway through spring ball and less than two weeks out from the Spring Game, so let's take a deep, position-by-position dive into where Jimbo Fisher's Aggies stand. Offense today, defense Wednesday. 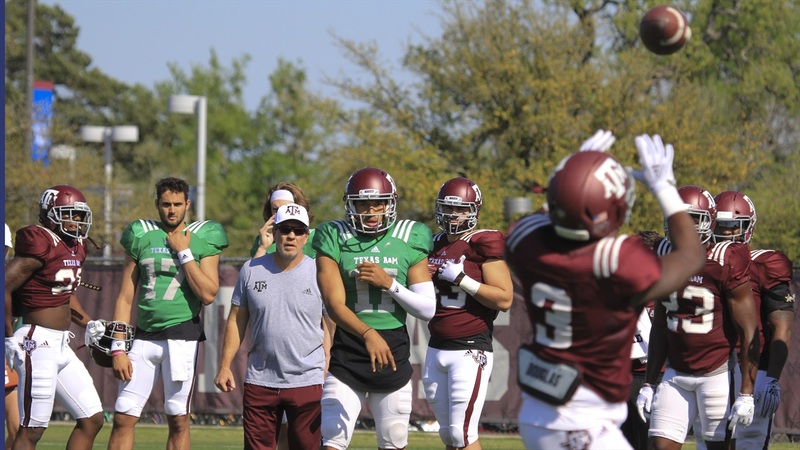 If we're talking about A&M players who just have a different look and feel about them this spring than they had at this time a year ago or even during the 2018 season, the list starts with junior Kellen Mond. The Aggies' starting quarterback has evolved into a more vocal leader and, quite frankly, is playing with a level of confidence in himself, his supporting cast and in his knowledge of Jimbo Fisher's offense that you'd expect from a returning starter who closed out his sophomore campaign by engineering four straight wins.